Nope, not the bacon kind. 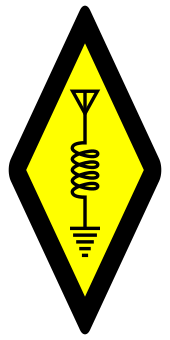 Ham radio, also known as Amateur Radio. I was interested in Ham radio when I was a teenager (I won't tell you how long ago this was) but the requirements for getting a license back then required learning morse code (or CW as it's referred to in the hobby). For some reason, my ears were not too keen at picking up the dits and dahs, so I didn't pursue getting a license. About a year ago, I was inspired by a blog post from ITS Tactical to get into ham radio. I found a wonderful video series on YouTube by a user named The Ham Whisperer for both the Technician and General tests. He explained them in great detail, even for someone that was not an electrical engineer. After watching the videos for each test section, I would switch over to HamStudy.org and go through the flashcards for that section until I was scoring 85% or higher. For about two months, I went through the technician videos/flashcards until I was able to score 85% or better, then I started watching the General level videos. It was much easier than I was expecting, building on the information I learned from the Technician level. Using the same approach, videos then flashcards, I was able to complete this in about a month. This was December of 2014. Early January 2015, I scheduled to take the test at a local Red Cross building where the test administrators (or VE's - Volunteer Examiners) give the tests once a month in my area. I passed both Technician and General that morning, and in about a week, my paper license came in the mail. This has changed now, and paper licenses are not mailed, but can be printed from the FCC's website. I was a licensed HAM RADIO OPERATOR!!! I was on to radio selection now... but that will be in the next post.